I don’t know about you, but I know I always eat too much on Thanksgiving (and quite a few of the days leading up to the big feast). Here is a quick, physical activity workout for the children, classroom, brain break, physical education class, therapy room or anyone who just ate too much on turkey day – Are You Stuffed? Download ARE YOU STUFFED? 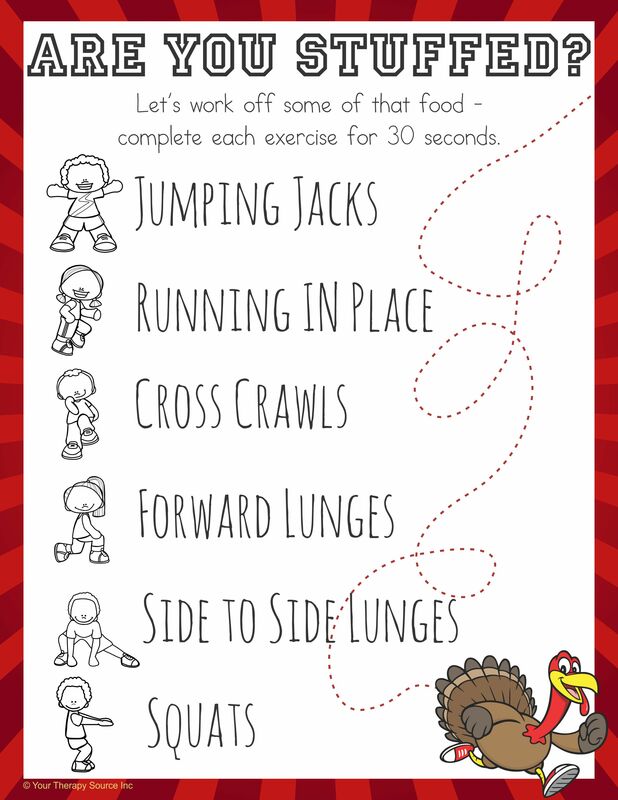 This activity is from the new Thanksgiving Packet. 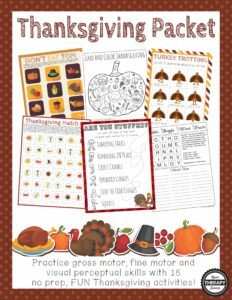 This 20 page packet includes 15 activities that encourages fine motor, gross motor, visual perceptual and handwriting activities all with a Thanksgiving theme. Find out more information.